This versatile 25.0 cu. 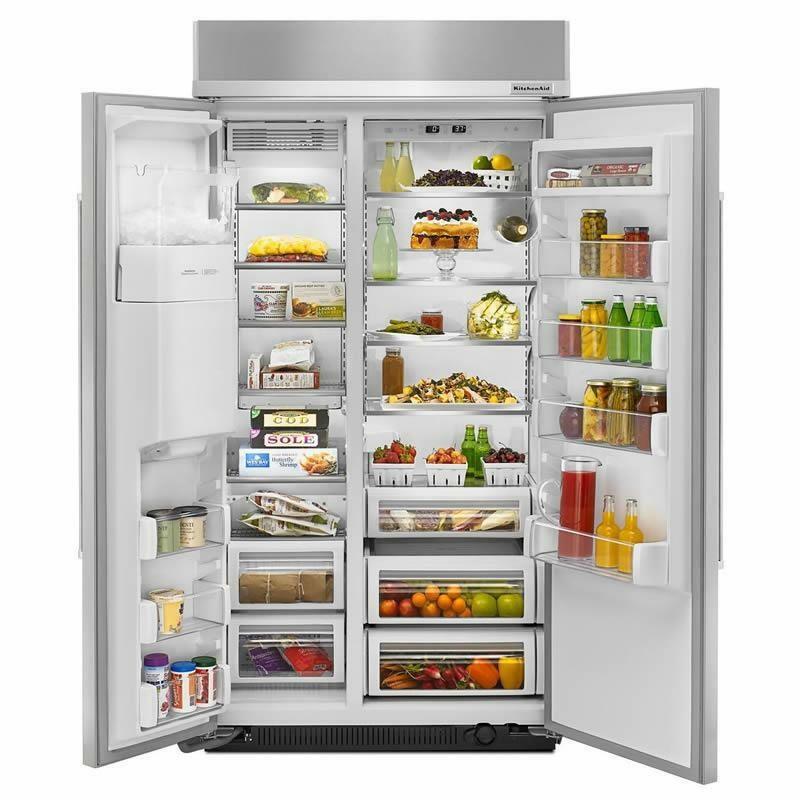 ft built-in refrigerator features the ExtendFresh™ Plus Temperature Management System, which maintains the perfect temperature for fresh ingredients. The FreshFlow™ Produce Preserver extends freshness by neutralizing the over-ripening effects of ethylene emitted by certain fruits and vegetables. It also features PrintShield™, a fingerprint resistant finish, which protects against smudges and enhances the look of the refrigerator. Total 25.5 cu. ft. / 0.72 cu. 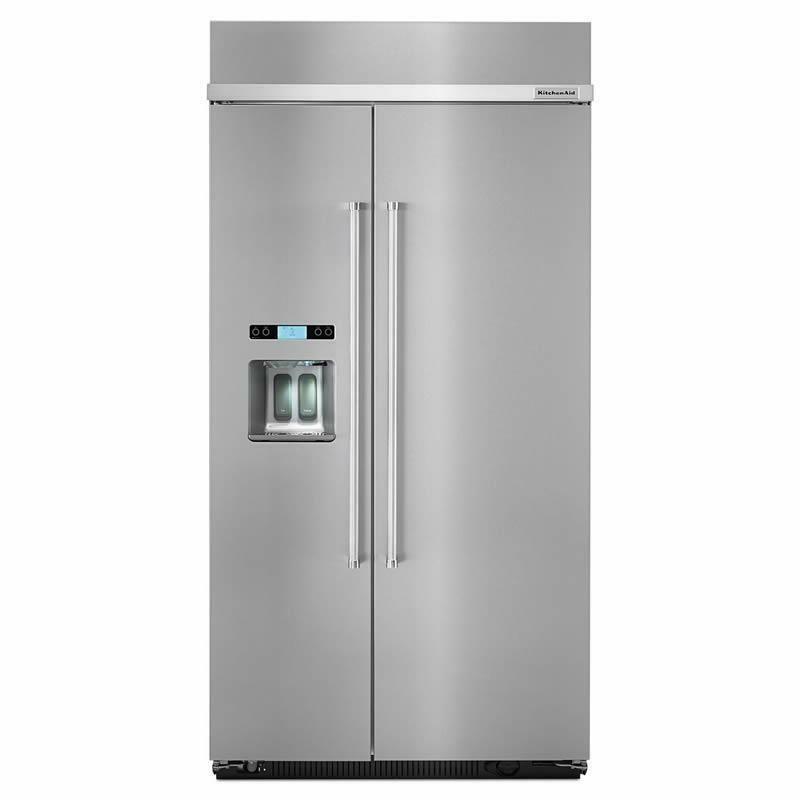 m.
Refrigerator 16.41 cu. ft. / 0.46 cu. 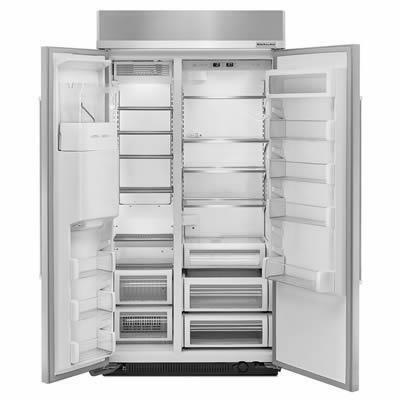 m.
Freezer 8.61 cu. ft. / 0.24 cu. m.
Additional Dimensions • Cutout Width : 41 1/2"
• Height To Top Of Cabinet 83 3/8"
• Width with Doors Closed : 42 1/4"
• Depth Closed Excluding Handles : 25 3/8"
• Depth Excluding Doors : 24 1/8"
• Height : 83 3/8"
• Depth With Door Open 90 Degree : 47 7/8"